It seems like you can’t open a fitness mag or go online without some “new” type of fast or cleanse popping up. Each one seems to have a fresh, catchy name and a slightly different spin. In reality, however, fasting isn’t new at all. Ritual fasting has existed in numerous cultures throughout human history, and continues to exist today. Some of the more popular fasts currently include time-restricted eating, intermittent fasting, and the elimination of complete food groups. And while rival experts within these various, fasting factions may dispute the minutiae of one style versus another, the truth is that all fasts are based on the same premise: voluntarily limiting or abstaining from food. Many fasters have reported experiencing a heightened sense of focus and a boost to the immune system, as well as improved internal organ function both during and after their fasts. Though there is insufficient scientific data to conclusively say one way or another, I’ve heard and experienced one thing consistently: When your body is fasted, you feel incredible—energized, lean, and centered. However, most people never experience this because the thought of going without food, even temporarily, is too unnerving to bear. This is my “middle ground” that I’ve found gives the benefits of fasting, without the total deprivation. A juice fast is an invigorating and palatable way to get acquainted with the benefits of fasting. Just about anybody can do it. I did my first three-day juice fast almost 20 years ago and I have continued to occasionally work it into the rotation ever since. 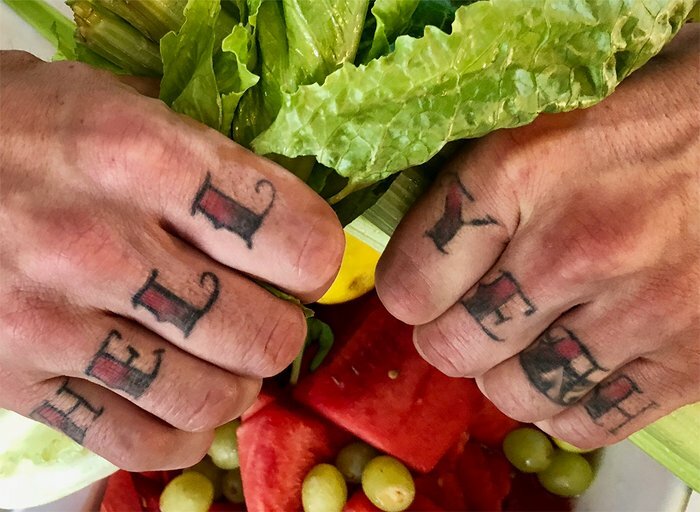 While more extreme fasts may be appropriate for a select few, a juice fast is more user-friendly because it does not completely eliminate calories and flavor. You consume between 150-400 calories per day while juice fasting, compared to a water fast, for example, where you’d consume none. I encourage as many juice variations as possible. Getting your greens, reds, yellows, and purples not only provides a bouquet of rich and diverse flavors, it also delivers a boatload of nutrition! Consider this a chance to celebrate colors and flavors. 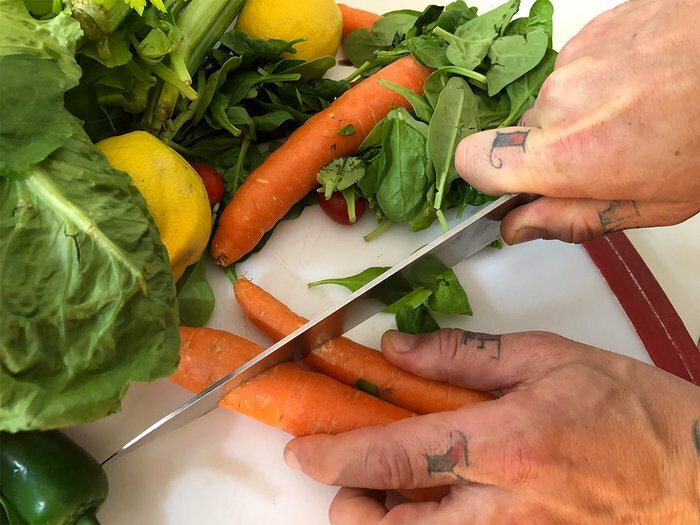 After all, a juice fast is not rooted in deprivation or starvation, instead, it nurtures an appreciation for food and flavor, not a disdain for it. Juice fasting also gives your digestive system somewhat of a break, which some claim allows you to “reset” your metabolism. 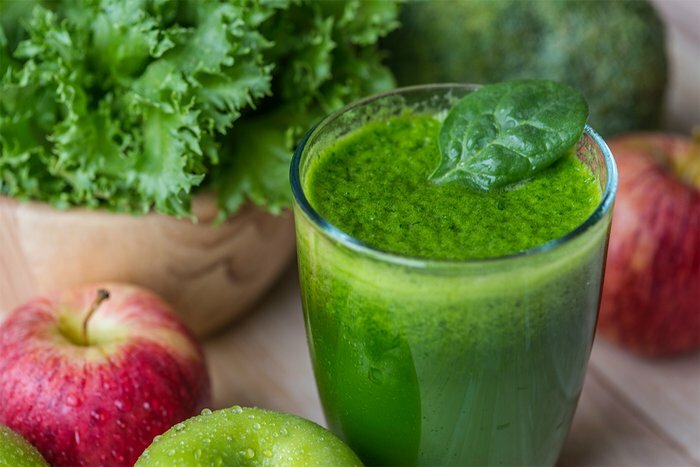 Unlike other fasts, though, juice fasting replaces those calories by flushing your system with highly concentrated vitamins, minerals, and enzymes. It’s a flashflood of vitality! This is one area where the hype about fasting is deserved. Fasting isn’t just good for the body, the sacrifice can help you become mentally strong, too. Believe it or not, the human body is physically capable of going days, even weeks, without solid food. It’s a question of mental fortitude. You see, we live in a society where many of us seldom, if ever, have to go without. If we want food, we can hop in the car, walk down the street, or use a phone or app to order any cuisine we want, whenever we choose. But at the risk of being unpopular with the kids, I strongly feel thatnotgetting what you want every single time you want it isn’t such a bad thing. It’s good. Yes, you will have to come to terms with being hungry. Be prepared to exercise restraint. Part of Danny’s Formula for Fasting Success is preparation. Just as you wouldn’t try a human flag if you’ve never tried hanging from a pull-up bar, you shouldn’t jump into a fast if you’ve never implemented any dietary restrictions before. If that’s the case, then start with a day or two of only vegetables, fruits, nuts, and seeds. Eliminate all beverages besides water, juice, herbal tea, and black coffee. Naturally, consult your doctor if you have any medical conditions. If this goes well, then you’re ready to fast! Variety: Try to get as many extraordinary colors and flavors as possible. Be leery of overly restrictive juice fasts. I avoid anything that says to consume nothing but their particular brand of juice or jacked-up cayenne-and-sugar lemonade. It’s important to make your own decisions, so don’t be afraid to improvise. Timing: There is no reason to split hairs over the time and frequency of every juice you consume. The fact that you’re entirely avoiding food is restrictive enough! While I try to have at least one dark, leafy green juice a day, I also have as many other juices as I want. A juice fast is not the same as a crash diet, nor should it be. If your palette craves something a little sweet, then I personally give you permission to enjoy every last sip. Prep: To make your life easy, I suggest going shopping for as much produce as possible before you start. Lay it out so it looks appetizing. Wash it in advance to save time. All of this will make your fast much more doable. Look at the food, touch it, smell it, chop it up and juice it. This ritual is both calming and exciting. Training: Don’t work out during your first juice fast, or at least take it very easy. Once you’re familiar with your fasted energy levels, then you may choose to experiment with a light workout, but this differs from fast to fast. Pay attention to your body. Start with one day. Then try two or three. These days I do about two seven-day fasts a year, and several sporadic 1-2 day fasts. This keeps me lean and clean. Depending on the length of the fast, there will be varying degrees of difficulty. Sometimes, even just one day requires great willpower. The beginning can be tough and you may feel cranky or even lightheaded. Stay the course. The three-day mark is a tipping point of sorts, as the mind and body have begun to adapt, and even accept what’s going on. Believe it or not, by day three, you will have more energy that you began with. A juice fast of seven days or longer is for experienced fasters only. Like any physical activity, you’ll have to progressively build up to it over time. No matter the duration of your fast, if you feel hunger, anger, euphoria, or madness, then go with it. Allow those feelings to exist and pass. Remember, fasting is both a physical and psychological test. It is important to note, as opponents of fasting often do, that in spite of its many benefits, not much fiber is consumed during a juice fast. After the first few days of a fast, this can potentially make it difficult for the body to rid itself of all built-up waste. For this reason, some fasters opt for a colonic or enema during or after the fast. Although there is no doubt that either would help in this department, neither is necessarily called for either. Every individual and every fast is different, so I can’t tell you what will be best for you. To be clear, though, of course your body needs fiber! Protein, too! In fact, I recommend fiber and protein with every meal during normal, non-fasting days. But a fast is temporary. It is a break from normal eating days, and is not intended to be sustained. Congratulations, you did it! Now, it’s time to break your fast. I suggest easing back into food slowly. After not having eaten for a long time, it won’t take much to fill you up. Also, you’re likely to experience a new appreciation for the subtle complexity of every bite you eat. You’ll be amazed at how incredible a single grape or green bean can taste. Your whole relationship with appetite and food will be altered—at least for a little while. Your digestive system will be empty, and it’s likely you’ll be a bit leaner as well, having burned off some superfluous body fat. Yeah, if you were close to seeing your abs before, you might see them now. But this short-term weight loss should not be a primary motivation. The fact that fasting places the individual in a greater position toward eating mindfully in the future is far more relevant and important. However, I can only speak from my experience. I encourage you to have your own. Again, every fast is different. If you have any questions, or would like to share your experiences, please let me know in the comments below. Good luck!